1. The first method you may wish to think about is simple advertising. Advertising works and there are many methods you can use to advertise your blog--both online and offline. It will cost you a little bit of money, but its expense all depends upon how badly you want people to see your blog. 2. You can try a guest post on someone else’s blog. This is where you add quality content onto someone else’s blog in return for their blog linking to yours. This will bring you direct traffic from the readers of the article who follow the link, and will help you to appear higher up in the search engine results pages. If you do wish to appear even higher in the search engine results pages you should consider the aspects of SEO. This is the act of making your blog post easier to read by the search engines, so that they list you higher up in their search results. Submit a sitemap to Google so that they list you in their search engine results. 3. Do not be afraid to talk about it on social media. If you have followers or friends on social media platforms, then talk about your blog and encourage people to go and look at it. Talk about its topics and the angle you took on certain issues. 4. Add a link from your email to your blog. Have one embedded at the bottom of your emails so that every single email you send out has a link to your blog from it. You may also add a link from your website if you have one. 5. Allow people to link from your comment section, if you want them to comment and to keep coming back. Links are handy for rising higher in the search engine results pages, so people will happily keep coming back and commenting every week if you allow them to post links. 6. Have an exciting or interesting title for your blog posts. A dull or boring one will not attract many visitors. Make sure that you write about the title you choose. Don’t add a title that is exciting and interesting if it has nothing to do with what your blog is actually about. Do not make your title misleading, but do make it exciting or interesting enough to grab people’s attention. Sometimes it is only the title of a blog that encourages people to even bother reading your blog. 7. The use of social bookmarking. Put the plug social bookmarking. It is quite possible to get targeted traffic from these services. 8. Compile lists. People love to read lists of any rules, tips, techniques, relating to important questions. Very convenient when all useful tips collected in one place. 9. Commenting on other people's blogs. It is desirable to leave comments on popular blogs. And not just comment, but clever and useful comments. It could allow you become noticeable and get attention. Traffic from popular blogs is very useful. 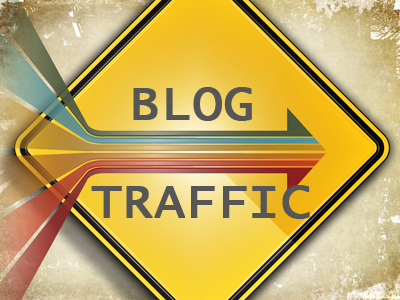 If you're struggling to generate traffic to your blog, consider these helpful hints. Over time, by taking small actions in the direction of your goal, traffic will start to build. Stick with it! About the Author: Today's guest post is by Korah Morrison, writer on essay writing service and she likes to write about seo, blogging, social media and internet marketing.